We welcome customer pick up of orders! At Upstate Rebar, we are fully equipped to handle even the most challenging reinforced bar needs. Estimating and detailing services are done in house. 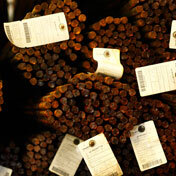 All reinforcing steel will be accurately fabricated by Upstate Rebar per CRSI specifications. bends in reinforcing bars shall conform to bend dimensions defined as standard in accordance with details in the ACI Detailing Manual or CRSI Manual of Standard Practice. 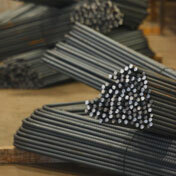 reinforcing bars and wire shall be cold bent so as to not change the physical properties of the product. reinforcing bars shall be fabricated within the tolerances shown in the ACI Detailing Manual or CRSI Manual of Standard Practice. If there’s a product you need that we don’t carry, chances are we can get it for you through our Special Order Program. Don’t go without – call us and ask! Upstate Rebar has its own fleet of trucks, virtually guaranteeing fast and reliable delivery for all materials, supplies and equipment. Have a special need? Having trouble finding an item you need? Don’t give up, call Upstate Rebar today! Also available: stock sizes of 20’, 30’, 40’ and 60’ reinforced bar. Visit Upstate Steel for more steel, stainless and aluminum products.